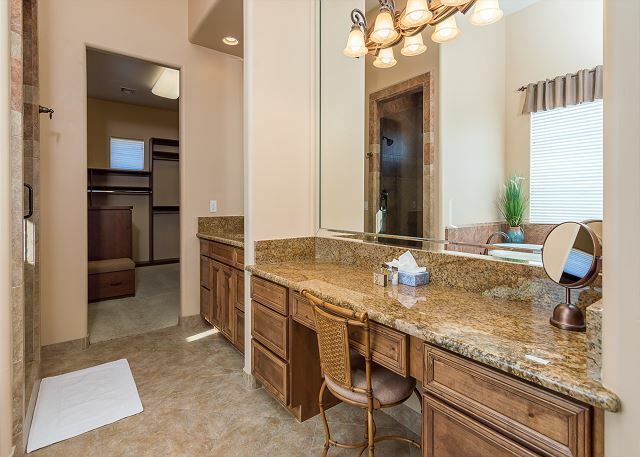 Expansive Vacation Home for your next AZ Vacation! Back yard PARADISE! 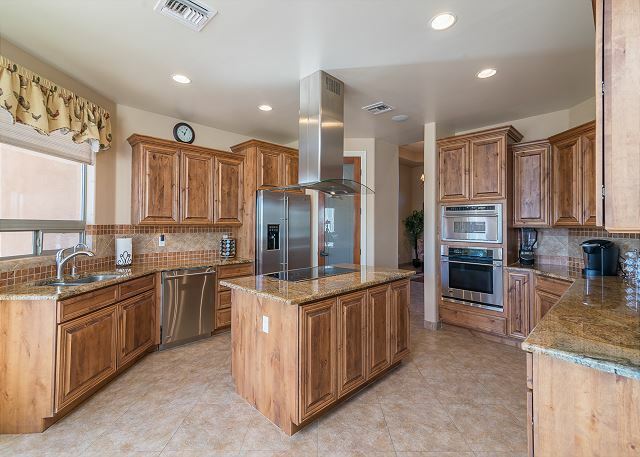 4 bedroom, 2.5 baths LARGE single family home in North Phoenix. Single story- No Stairs. PRIVACY! Large lot; sitting at over an acre! Sparkling *HEATED pool with waterfall. 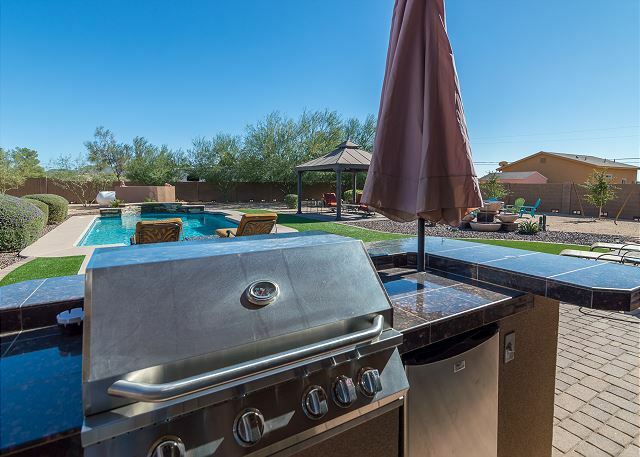 Built in BBQ Island/bar/fridge outside. 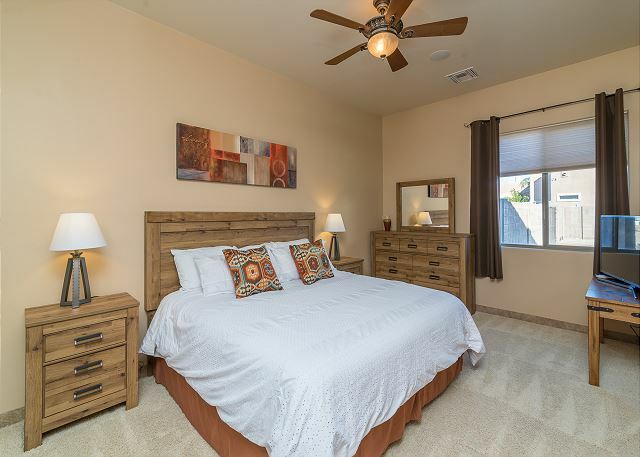 2 King beds, 2 Twin Beds and a Queen bed provide comfortable and private areas of rest. 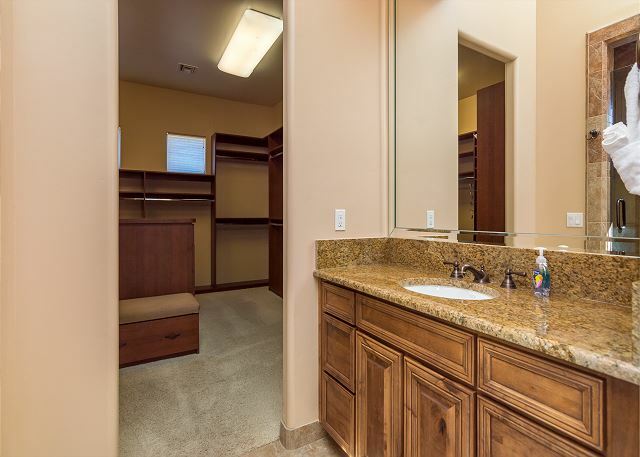 The master offers a King bed w/ TV, large attached bath and huge walk-in closet. The 2nd bedroom has a King bed and TV. The 3rd bedroom has 2 twin beds and a TV, and the 4th bedroom has a queen bed. An ADDITIONAL pull-out couch in the living room can accommodate 9-10 comfortably! A Pack n' Play is also available for use upon request. 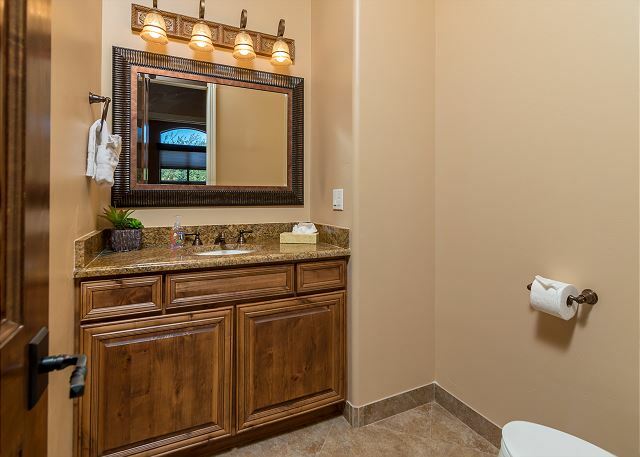 Alluring neutral tones with quality finishes & fixtures throughout. 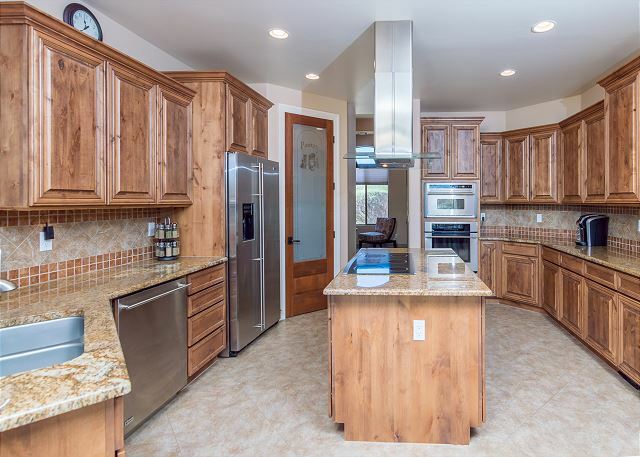 12' Ceilings, Granite counters in kitchen & baths. 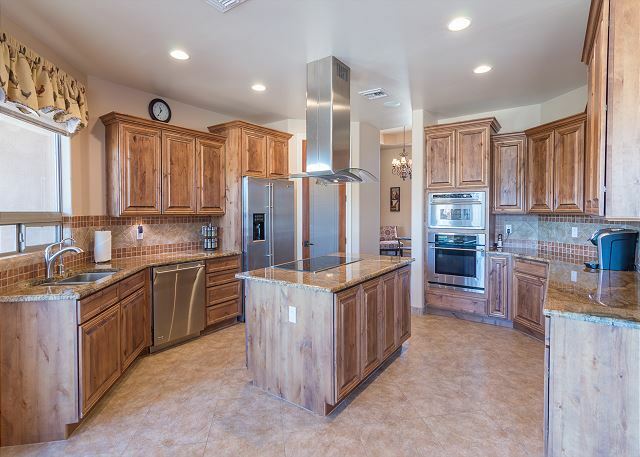 8' solid alder doors and alder cabinetry, decorator light fixtures & fans & diagonal tile. 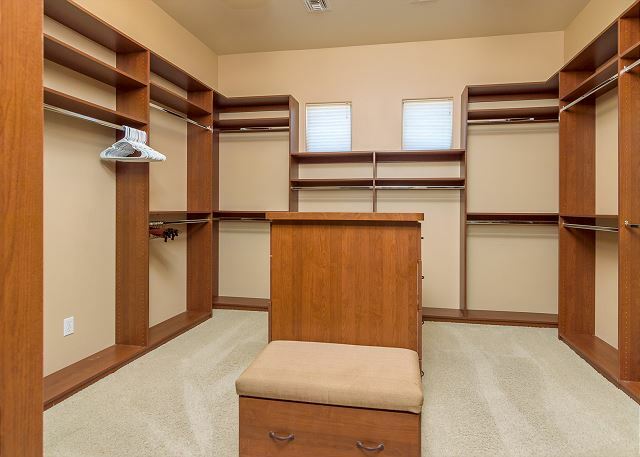 Huge Master closet with custom built-ins, central vac, whole house sound system (pre-wired), security system, water softener, and so much more to enjoy! 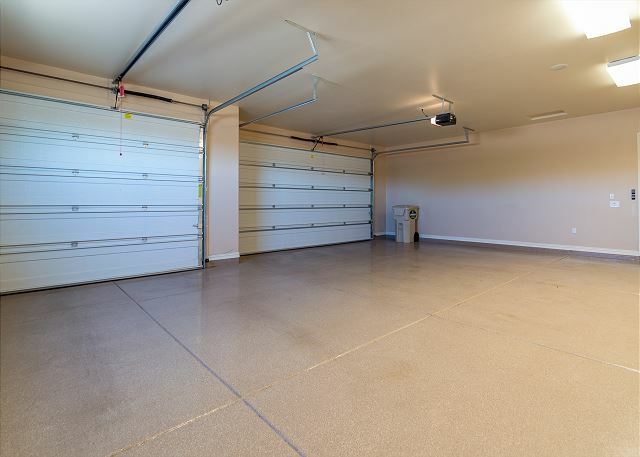 3 CAR side-entry, extended length, over-height garage w/ 10' clearance. Nearly an acre of level ground. 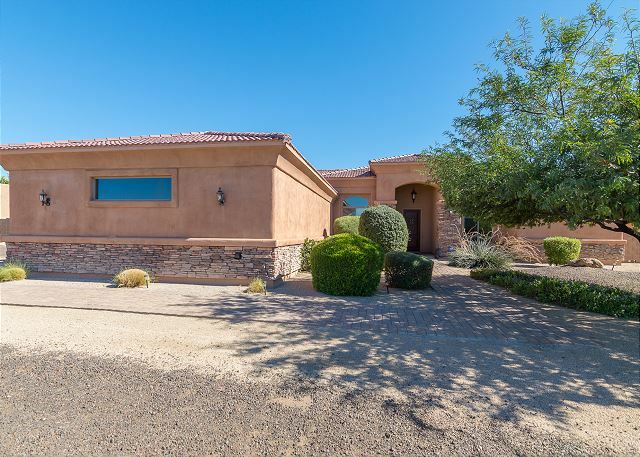 RV Gates & Huge completely walled-in back yard w/ Mountain Views, Sparkling *Heated Pool, covered patio w/ pavers to catch some AZ sun! 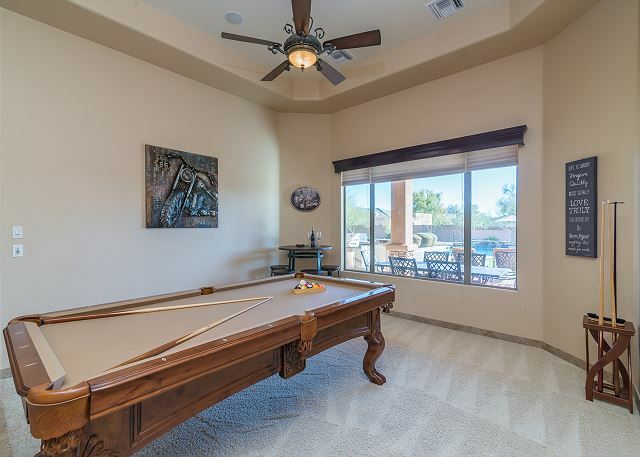 POOL TABLE in game room with bar area is perfect for entertaining! ***Additional fee to heat the pool. It heats off of a propane heater, so you will be responsible for the propane used. Guests will be liable for the exact invoice of re-fill for propane used for heating the pool. Cost depends on the time of year and how warm you heat it. We were 3 adults and 2 teenage kids, the House was definitely a perfect size and could have fit more! The house was spotless and had everything we needed to cook meals. The pool was a huge plus especially being we were there in August. The kids made sure to get in their nightly swim! Location was great for where we needed to be for day trips to Sedona, Scottsdale and local grocery stores. 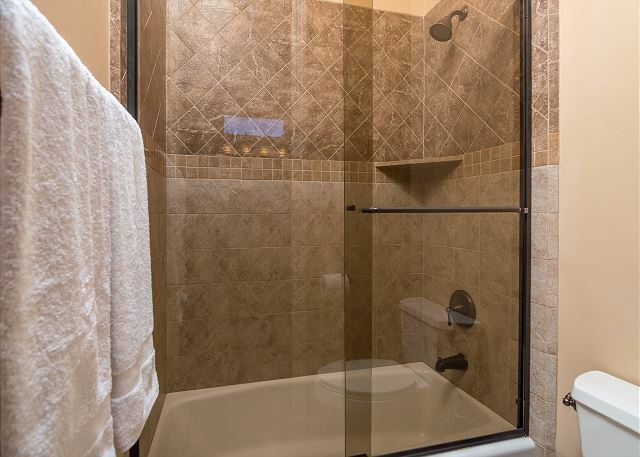 It is located in a more rural area which we liked the change of scenery since living in Manhattan. There is a ranch a few steps from the home, it was beautiful to see the horses getting their morning exercise. 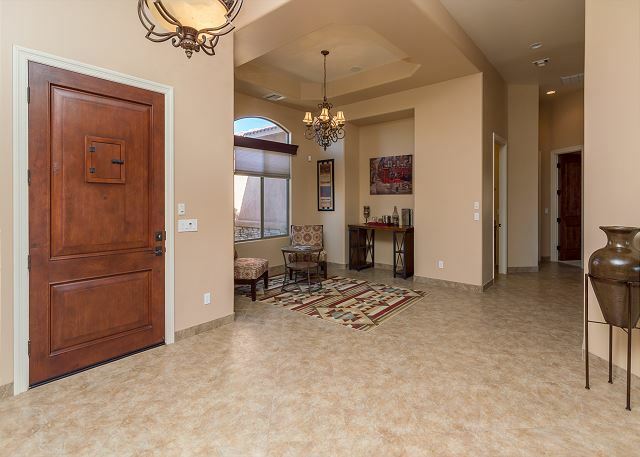 I would definitely recommend this house to anyone looking for a great home in Phoenix. The house was perfect for our family reunion. 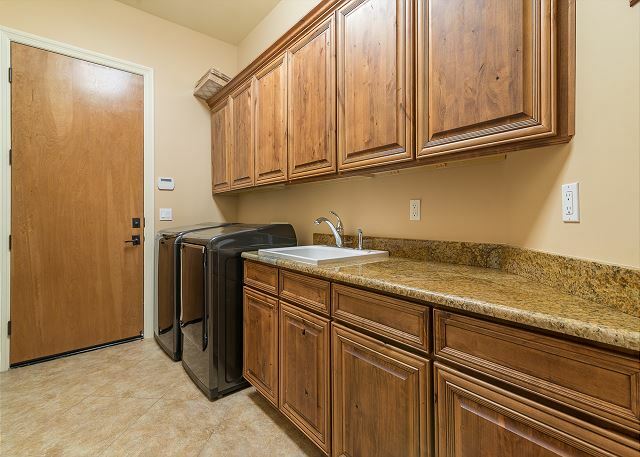 Amenities were great, my son-in-law is a chef and really appreciated the kitchen and grill set up. The eight of us had plenty of room to spread out and the pool and pool table were perfect for our teens. Will never stay at a hotel again! The manager was very helpful and flexible with check-in. The house was great for our family size and we had a wonderful time just lounging by the pool while we were there. Would have loved to spend more time there but had other commitments to tend to.